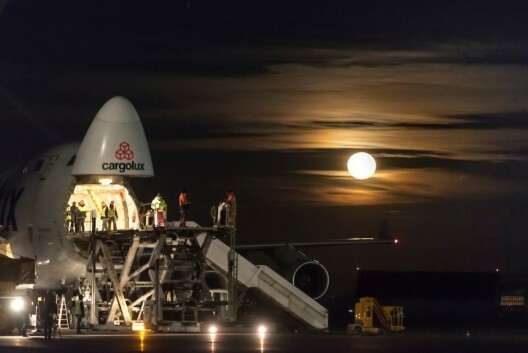 Solar Impulse 2 is a big airplane, with a wingspan greater than that of the Boeing Cargolux carrier that transported it to Abu Dhabi this last weekend. 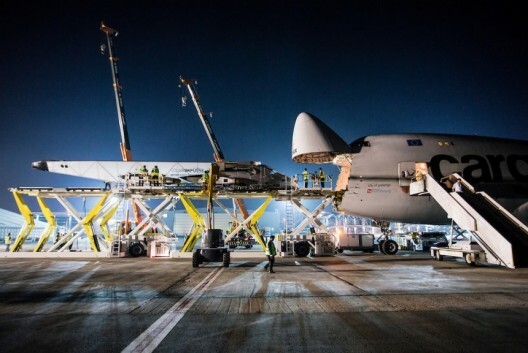 Seeing the craft slipped into the cargo hold of the whale-like Boeing, then disgorged a few hours later, presents an almost mythical vision of leviathans at work and play. 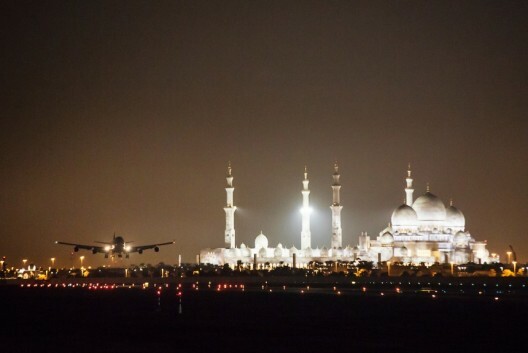 Abu Dhabi, the capital city of the United Arab Emirates, has been named the Host City of Solar Impulse for the first round-the-world solar flight, to be started 50 days from now in March. 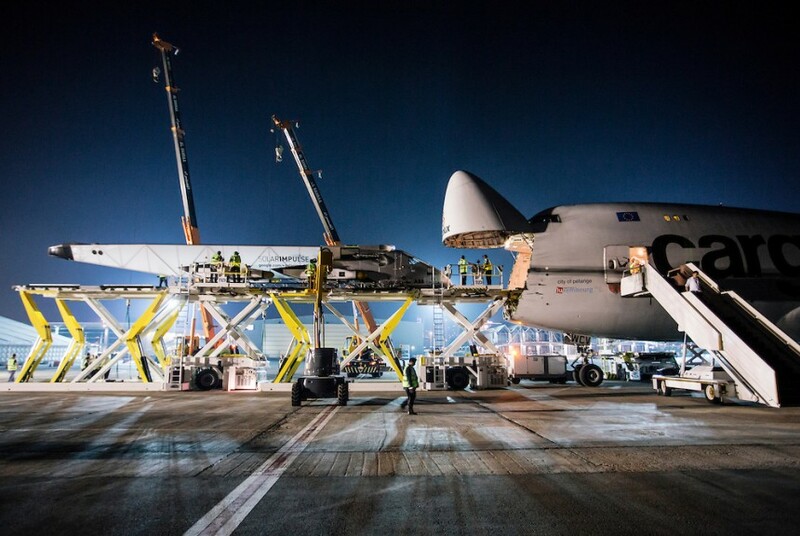 Following over a score of test flights in Switzerland, HB-SIB was dismantled and packed aboard the 747 that would carry it to the UAE, where it will be prepared for its epic journey. The mission was announced last year in New York at the UAE reception “on the sidelines of” that United Nations General Assembly. Attendees included Swiss, UAE and UN dignitaries along with officials “from over 50 countries represented by Heads of State, Ministers of Foreign Affairs and Heads of Permanent Missions to the United Nations.” Bertrand Piccard and André Borschberg, Solar Impulse leaders and the two pilots who will guide the giant airplane on its course, explained the mission and its significance – as much an inspirational adventure as a technical achievement. 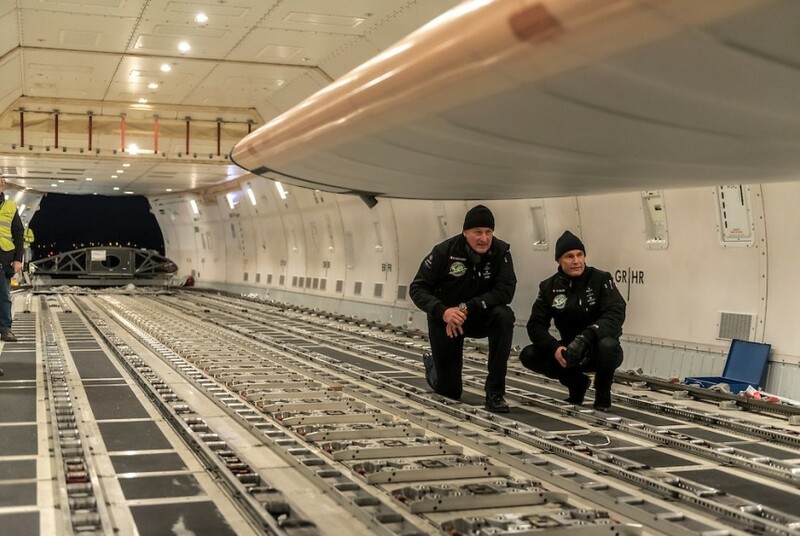 Si2 was delivered to Abu Dhabi from the Payerne aerodrome in Switzerland on January 6 and will be showcased during the World Future Energy Summit as part of the Abu Dhabi Sustainability Week, to be hosted by Masdar between 17 and 22 January 2015. Masdar, Abu Dhabi’s renewable energy company, is partner and host to the SI2 team until the airplane’s departure on its globe-girdling circuit, with a return to Abu Dhabi following 25 flying days over a period of four to five months. Circling as close to the equator as practicable, the flight will make stopovers in Asia, the United States and in Southern Europe or North Africa before returning to Abu Dhabi in July 2015. Some over-ocean portions will see Solar Impulse over water for five or six days, a task made possible by the airplane’s ability to fly on solar power all day, soak up rays as electricity for its batteries, then cruising at ultralight speeds all night to conserve that stored energy.